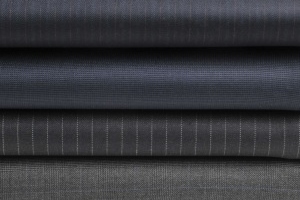 Based in West Yorkshire, Huddersfield Fine Worsteds is an internationally-renowned fabric manufacturer supplying the world’s biggest design houses and most prestigious tailors with superior and selectively-sourced fabrics. Combining innovation in our designs, and tradition in our outlook, HFW is the epitome of British elegance with global appeal. We have a strong heritage and a well-established friendly reputation. The company is celebrated for taking great care to select only premium products and designs to form our collection. Crafting a seamless service which best fits the client, we stay in touch with our client's needs to offer unrivalled customer satisfaction and long-standing relationships. HFW have achieved worldwide market leadership by having a unique ability to maintain tradition while moving forwards with innovation, giving us an international name as the designer's and tailor's first choice fabric specialist. Click here to see more about who we are. 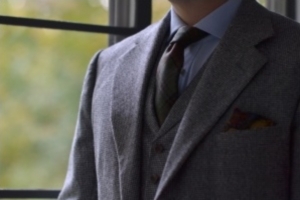 Through our historic brands Hardy Minnis and Hunt & Winterbotham, we provide iconic fabrics to top-class tailors who value time-honoured ways and a knowledgeable, reliable service. Through our progressive brand Martin Sons & Co, we ensure the supply of the finest British fabrics for the ready-to-wear sector and top design houses, which seek creativity and consistency. Click here to see our Brands in more detail. Huddersfield Fine Worsteds is part of New York’s HMS International group. 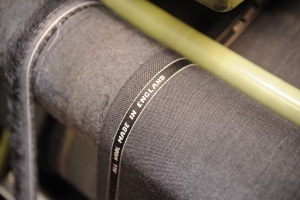 The Solomon family first began selling fine English fabrics from their Manhattan warehouse in the late 1930’s. Over the decades the family business continued to thrive and by the early 60’s brothers Herbert and Michael Solomon had taken the helm of their eponymous company, HMS. 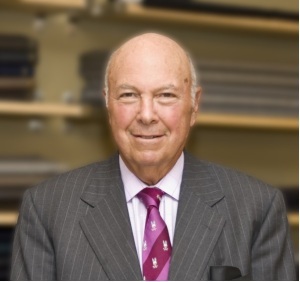 With a passion for Fabrics and an unrivalled knowledge of the business, Mickey Solomon continues as C.E.O and in 2009 added HFW to his now global HMS group of companies. With mills and offices around the world, the group now produce over 5 million meters of cloth each year.